A graduate of Northeast Ohio Medical University. 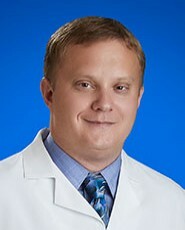 Dr. Conway completed his residency at Allegheny General Hospital, Pittsburgh. He is board certified by the American Board of Surgery and has a Special interest in minimally invasive and robotic assisted surgery. He is a Millersburg, Ohio native.